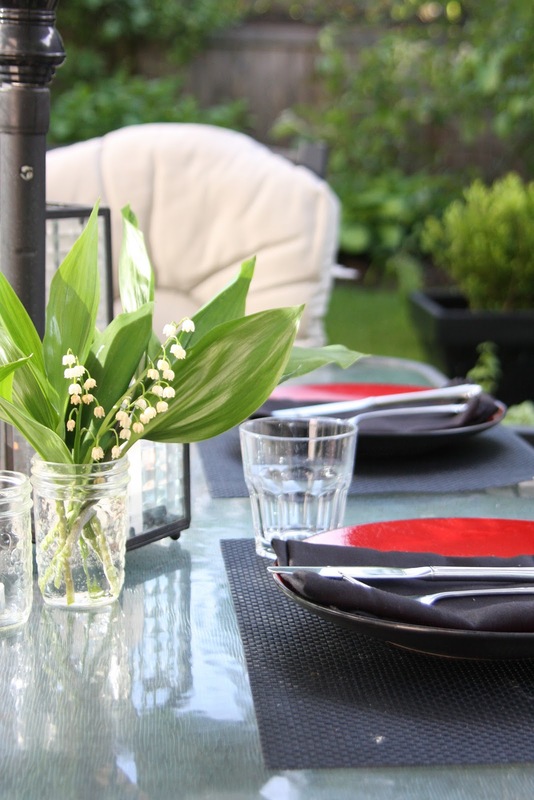 When we have an outdoor dinner soiree, I pull out all the stops with my decor and whip out several Mason jars, not large ones but the smaller ones. They are the perfect size for tea lights - which I have in the thousands. I kid you not. Long story, but if you need a tea light, you know who to ask. As a collector of lanterns, I have a few kicking around, but I like to add an extra layer of light with small mason jars. There are a plethora of DIY's with Mason jars floating around the web so I am not going to regurgitate a tutorial, one you have probably seen pinned a thousand times. 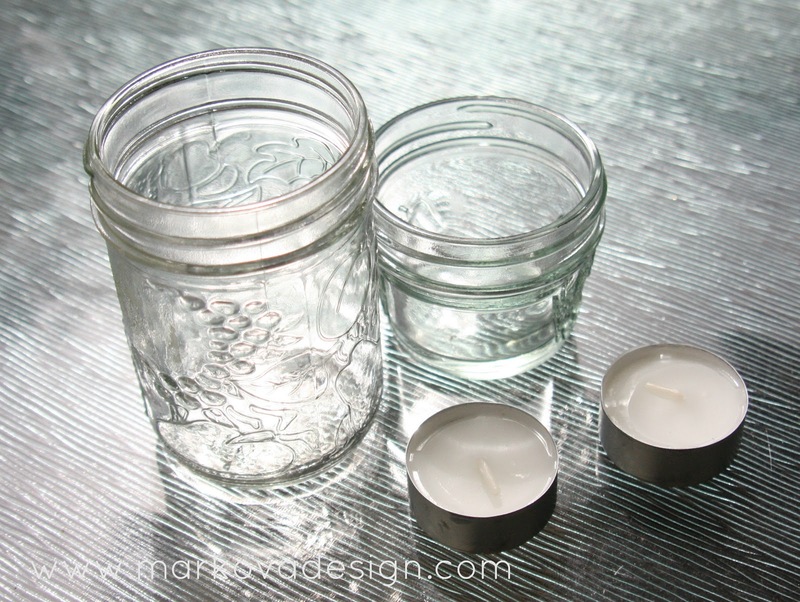 What I do is simply grab a few Mason jars, pop in a tea light and voila! Instant candle holder/lantern for the outdoor table! Less than 5 minutes, easy peasy. I think eating dinner by cande light makes food taste so much better, don't you? 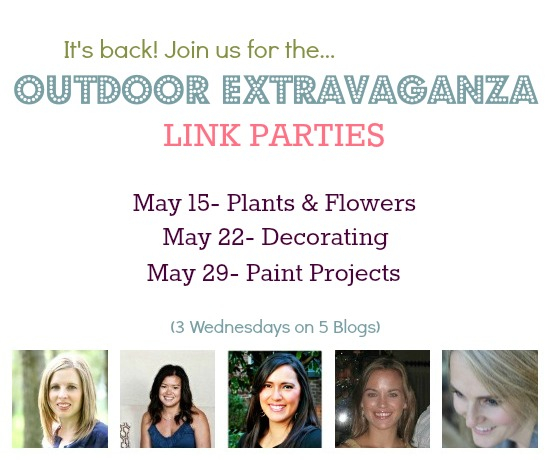 Don't forget to stop by tomorrow and link up your brilliant outdoor decorating projects for the Outdoor Extravaganza Link Party! Simple, but so beautiful. Love dining by candlelight, especially outside. Your tablescape looks great! Sometimes simple is best! Inexpensive, easy and effective! And yes, your table does look wonderful! Your table setting looks very inviting and the mason jar candle lights look beautiful on there! Sometimes simple is really the best answer! I just love the look of the mason jars and candles. I do this all the time, love the way it looks! Super pretty Barbara! Your table looks lovely... not covered with toddler food scraps like mine:) I worked on our deck this weekend, looking forward to linking up tomorrow!! I love candlelit dinners outdoors! Can't beat a mason jar can you?! You had me at "5 Minutes"! Looks gorgeous! Why do I never think of things this simple. I would have mod podged, spray painted and wrapped those jars in twine...haha...sometimes it's the simple things that are SO much nicer! Candles are a must in my house! Takes me forever to light them all! 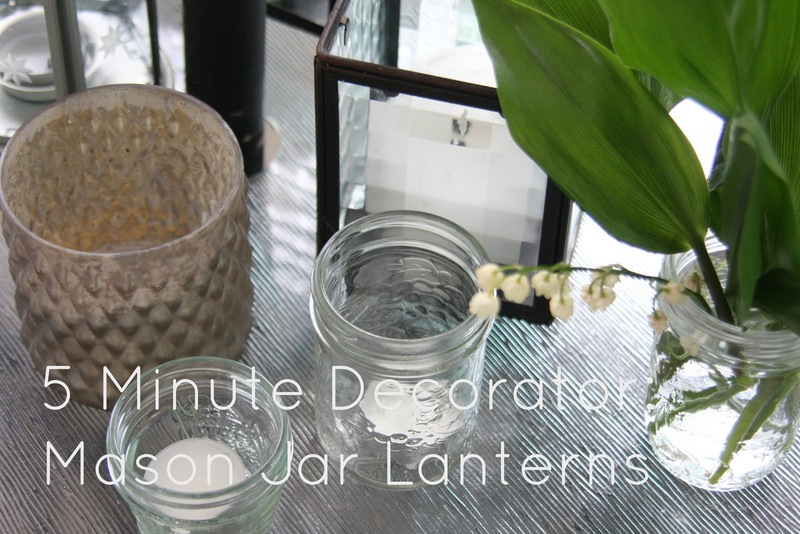 I love the light that mason jars give off, very pretty & simple ambience! Simple but lovely and fun. Is that a mercury glass candle holder from Indigo that I spot? Love that whole collection. 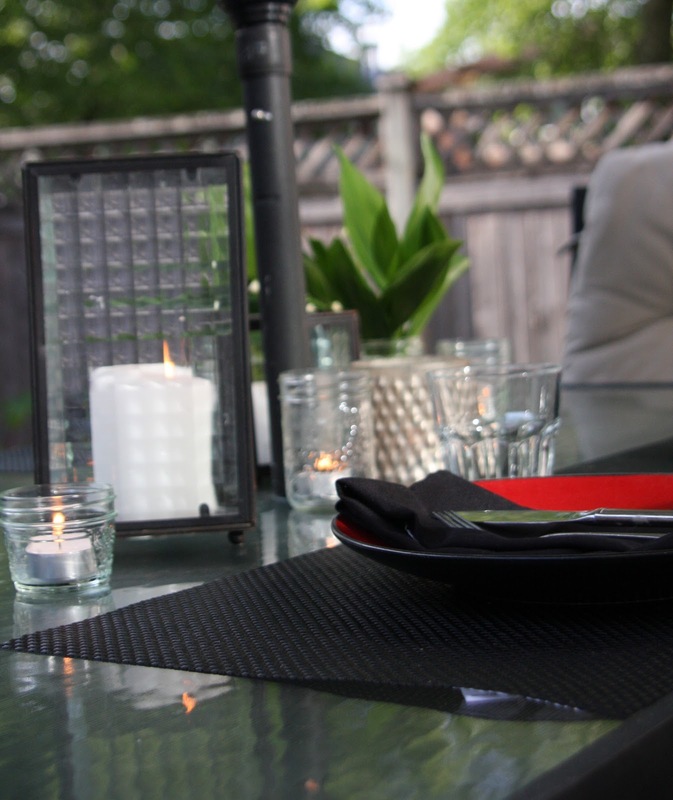 Perfect for patio season! I see mason jars at the goodwill all the time. Such a cheap and easy way to add ambience. I agree, good lighting goes a long way!! What a great inexpensive way to decorate! Simply Perfect, looks amazing! Your table looks great! Love the lanterns mixed with the mason jars! So pretty, and your photographs are awesome! Who needs a fabulous DIY project when you have a fabulous idea instead? Way to go!! !